The IEA Bioenergy Task 40 has released a comprehensive study titled “Global Wood Pellets Markets and Industry: Policy Drivers, Market Status and Raw Material" [*.pdf], which covers the recent market and industry developments over the last decade for most existing and emerging biomass pellets markets, with special focus on the most relevant producers and the present market situation (until July 2007). Prepared within the work of the IEA Bioenergy Agreement Task 40, researchers from Finland, Italy, the Netherlands and Brazil note in the report that recent policy and market changes have stimulated a rapidly increasing demand for biomass pellets. 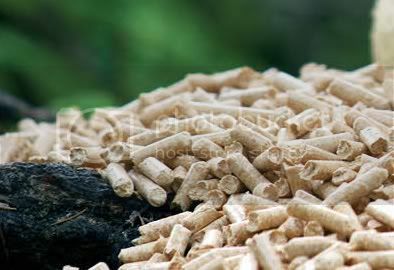 However, despite their high potential and growing demand, no studies at a global level with a specific focus on wood pellets markets have been carried out before. The new study therefor provides an overview of the most important aspects of this booming market: the development of wood pellet technologies; the key drivers and policy contexts in the main markets; a sketch of different regional markets (Europe, North America and the emerging wood pellet industry in Latin America and Asia) with their respective pellet production, consumption and trade patterns as well as a comparison of pellet prices and other heating/power sources; and insight into solid forest industry by-products. The report concludes with an evaluation of the global raw-material potential for wood pellets from sawdust. The report notes that biomass pellets offer one of the most cost-effective uses for biomass. The solid biofuel can be used in power plants (co-firing), in industrial boilers, in combined heat and powers systems (CHP) and in small scale home heating systems. Pellets are a competitive fuel compared to both liquid and gaseous fossil fuels as well as to other biofuels such as bioethanol, biomethanol and biohydrogen (at mid-2006 prices). On a barrel of oil equivalent (bbleq) basis, pellets beat crude oil and even natural gas easily (graph, click to enlarge). However, the high bulk density and low volumetric energy density of pellets being lower, long distance trade may push up the price given high transport costs. Still, the fuel remains very competitive when scale advantages and smooth logistical chains are in place (large production centers, low-cost logistical chains from inland sources to ports, bulk transport in oceangoing ships). These chains are still under development and are expected to improve in the future as the global pellet market matures. The competitiveness of pellets is shown in the country analyses, which indicate that for the end consumer, biomass pellets have been consistently the cheapest energy source over the past two years. Heating oil, natural gas, and electricity are all considerably more expensive, with in some cases a price difference reaching as high as 200 percent (natural gas versus pellets in Sweden; in Germany in mid-2007 natural gas prices were almost twice those of bulk biomass pellets; likewise, in Austria, pellets have been consistently less costly than heating oil since mid-2003, with peaks in the difference between 2005 and 2006 when the fossil fuel was often twice as expensive). Sweden, together with the USA and Canada, are the world’s largest producers of pellets with an annual production capacity exceeding 3,500,000 tonnes of wood pellets (about 16,5 TWh) in 2006. A second group of countries is composed of several EU Member States with a production ranging from 200,000 to 600,000 tonnes, including Austria, Germany, Italy, Estonia, Latvia, Russia, Poland and Denmark. The remaining countries produce much lower amounts. Sweden is also the largest market so far, and trends show that the country will remain the leading market in the short term. Other large markets include mainly central European countries, such as Austria, Italy, Germany, the Netherlands, Denmark and Belgium. In 2007 more than 285 small to large pellet plants (with an annual capacity from 2,000 to 150,000 tonnes) were in operation in the EU, up from 230 in 2006. The bulk of these plants can be found in central and northern Europe (map, click to enlarge). For small-scale heating applications, the price advantage/competition with fuel oil plays an important role. This second driver is also the predominant one for North America, combined with a desire to diversify fuel supply. For Asia, the general need for (new) energy carriers and shifting from the heavily polluting energy technologies towards low carbon ones may be the most important drivers behind increasing demand for biomass pellets. Several markets are mostly driven by export potential opportunities: the Baltic States (Estonia, Latvia, and Lithuania), Finland, Russia, Poland and Canada. They all have low internal sales. Canada produced around 1,200,000 tonnes of pellets in 2006 year, of which a high proportion was sent to Europe through the Rotterdam harbor in the Netherlands (stat, click to enlarge). The Canadian Pellets Association estimates that 700,000 tonnes of Canadian wood pellets will be used in European power stations in 2007. Russia, with its 880 million hectares of woodland, is already exporting its pellets but with its huge potential, it could become one of the largest market globally for wood pellet provided economic and political conditions are in place. Some large potential producers like Brazil, Argentina, Chile and New Zealand are in the phase of planning the necessary infrastructure. Furthermore, under the Kyoto Protocol the use of biomass for energy production gives credit to the user, not to the producer of the fuel. As such, Sweden, Italy, Denmark and other industrialized countries have a strong interest in importing pellets. Globalization is taking place and trade is becoming a key feature of wood pellets markets. A rising number of pellet producers from around the world, especially Canada and Russia, are already selling in Europe and are looking for new business contacts. The pelletizing technology mainly comes from Europe and is exported to other parts of the world. Producers of pellet stoves and boilers are operating on a Europe-wide level and have been opening up new sales markets. Emerging markets are opening up both in Latin America and Asia. A projection for China shows the People's Republic might be producing around 50 million tonnes of biomass pellet fuels by 2020 from a variety of sources such as switchgrass, agricultural residues (rice, sunflower, corn, soybean, cotton, etc...) and woody energy crops. While in Latin America, pellet production is so far marginal, the European demand for pellets may trigger further investments in the near future. Generally, forest biomass has been a marginal source of energy in industrial applications, but in some countries with a large forest industry sector, such as Sweden, Finland and Austria, forest biomass has remarkable importance. In Finland, for instance, renewable energy sources cover approximately 25% of the total primary energy consumption, and over 80% of renewable energy is derived from wood. Nearly 80% of wood energy is generated from the processing residues of the forest industry (schematic, click to enlarge). For the time being, the highly integrated wood streams in the Finnish forest industry are an exception. But similar models are expected to develop elsewhere. The report analysed such wood streams in-depth in different countries but limited quantitative research on current biomass potential to an overview of globally produced sawdust residues. It revealed that an estimated gross sawdust potential exists of over 300 million m3. Five countries (USA, Canada, mainland China, Brazil and Russia) cover over two-thirds of this gross potential. However, when the estimated demand for fibre by the particle board and fibreboard industry is substracted, net available potentials may only be about 80 million m3. The largest part of this potential is situated in Brazil, the Russian Federation and Canada. Assuming 6 m3 sawdust for one tonne of wood pellets, this would imply a net potential of about 13 million tonnes, compared to a total production of an estimated 6 to 8 million tonnes in 2006.